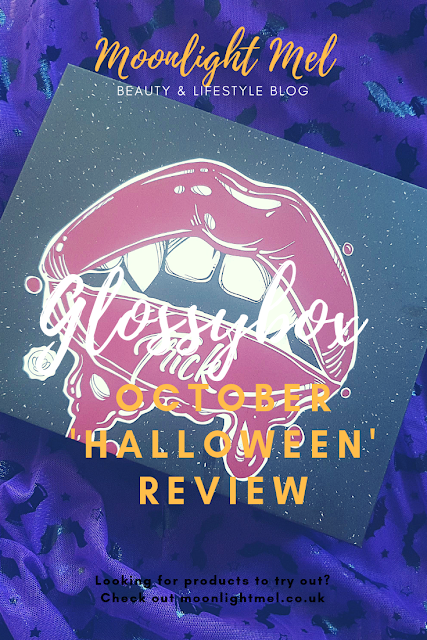 Last months September Glossybox to me was a bit disappointing and the worst one I have got so far. It felt like such random choices and also far too many samples compared to previous boxes I have had. 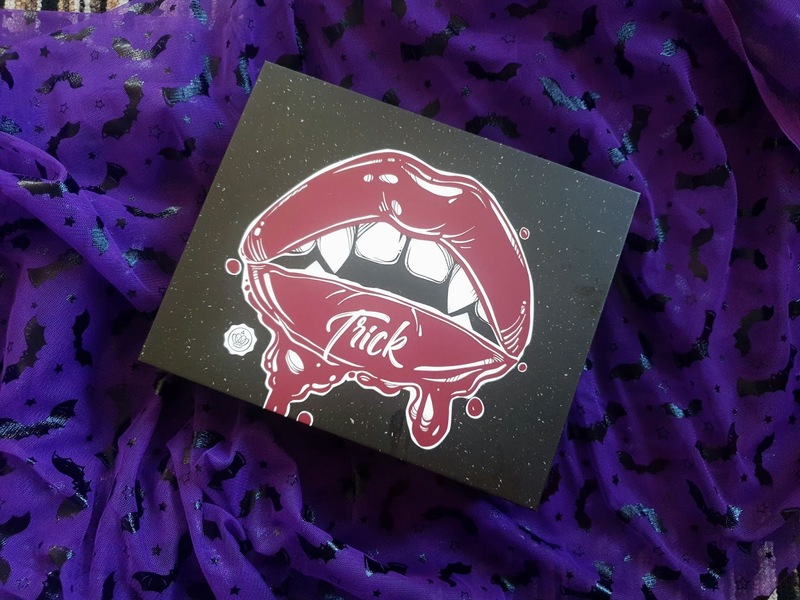 I wasn't sure whether to continue the subscription but when I saw on the description card that the next box was Halloween themed and had a llamasqua lipstick, I decided to give it one more chance to see if it keep the subscription going. The weather has started to change as we go from summer to autumn and the clocks going forward. Octobers Glossybox is Halloween themed and with the spirit of all things spooky and mystical they is 2 boxes this month - one being a trick themed box and the other being a treat themed box. I got the Trick Edition and below are the products which are inside this months box. 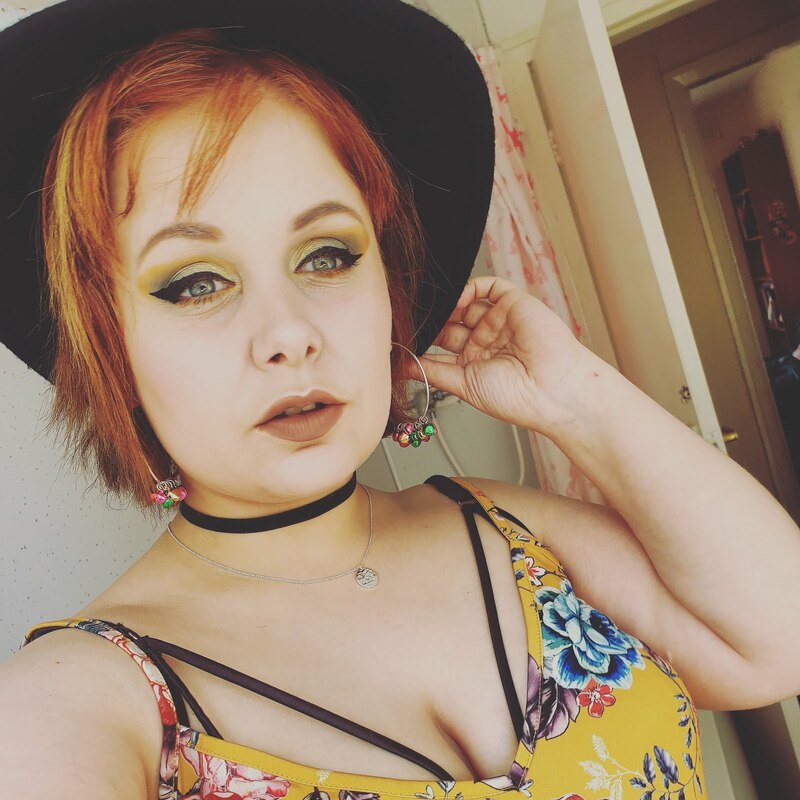 If you have seen my previous post on Illamasuqa lipsticks you will know how happy I am to get a lipstick in this months box. 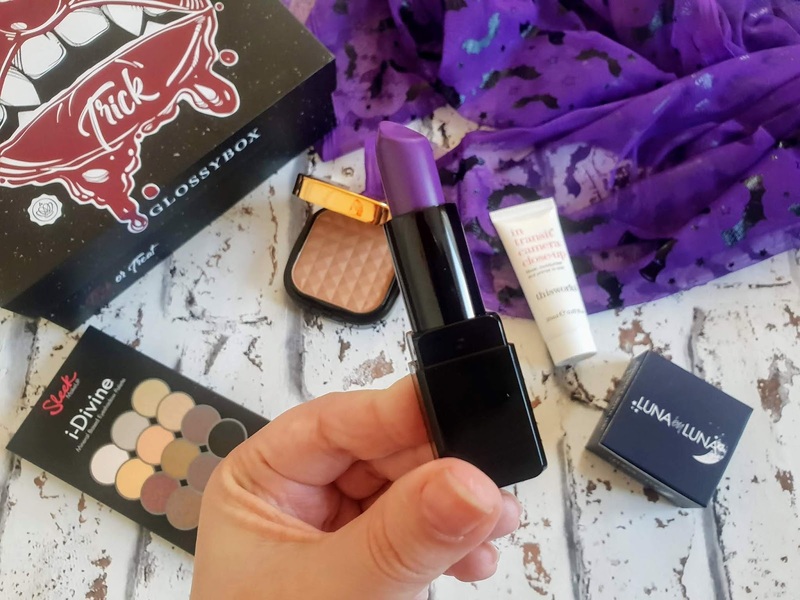 This lipstick is a vibrant purple which is great all year round but even more so for Halloween. It is a semi-matte finish and the packaging is classic Illamasqua. Sleek are an amazing budget-friendly brand and this eyeshadow palette is perfect for everyday wear. I love all the sleek products I have tried so far and I am looking forward to trying this product out in the near future. I have tried this product before in a previous beauty box and as much as I like it I am a little disappointed to get a repeat product but oh well. This is a multiuse product as its a moisturiser and primer all in one. This contains a blend hyaluronic acid, argan and starflower oils with a hint of caffeine. Its only been recently when I started using translucent powder. It is a wonderful product as it helps keep makeup in place longer and it also sets it too. I have never tried anything from this brand before but this packaging and design look promising and I am looking forward to trying this out in my makeup routine. It has been a few years since I have bought anything from this brand and since then they have changed so much and have a few products I want to try. This sculpt and contour kit looks amazing and I am excited to give this a try and compare it to my other bronzers. Overall I am super happy with this months box and even though they were one product I was a little disappointed with the rest of the box redeemed itself and makes me one happy bunny. My favourite product this month has to be the Illamasqua lipstick - sooooo happy! Glossybox is a monthly beauty subscription box and costs £10 plus £3.25 for P&P. They also have 3,6 and yearly subscriptions in which you can save money. If you want 20% off your first box click here for my referral code. 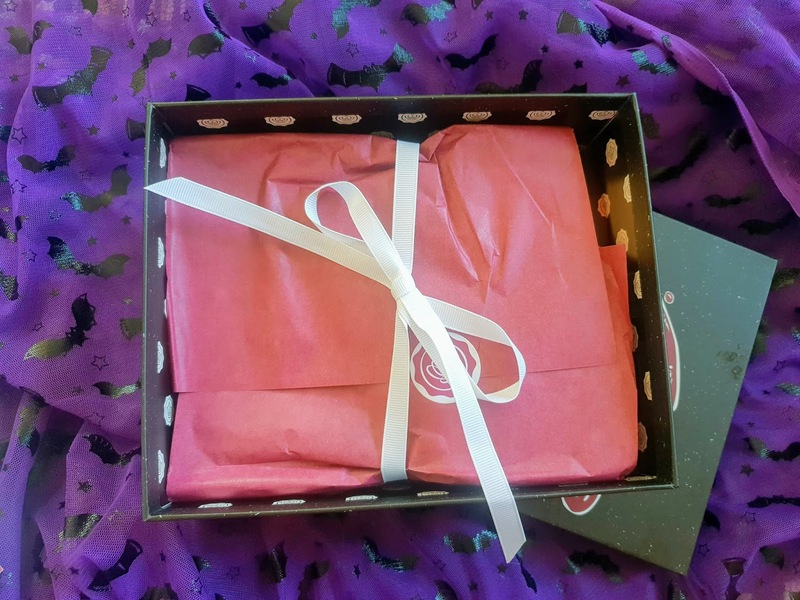 Have you got the Halloween Glossybox? I've seen so many mixed reviews for Glossybox that I've never taken the plunge. The box itself looks gorgeous, and that lipstick is a gorgeous colour!